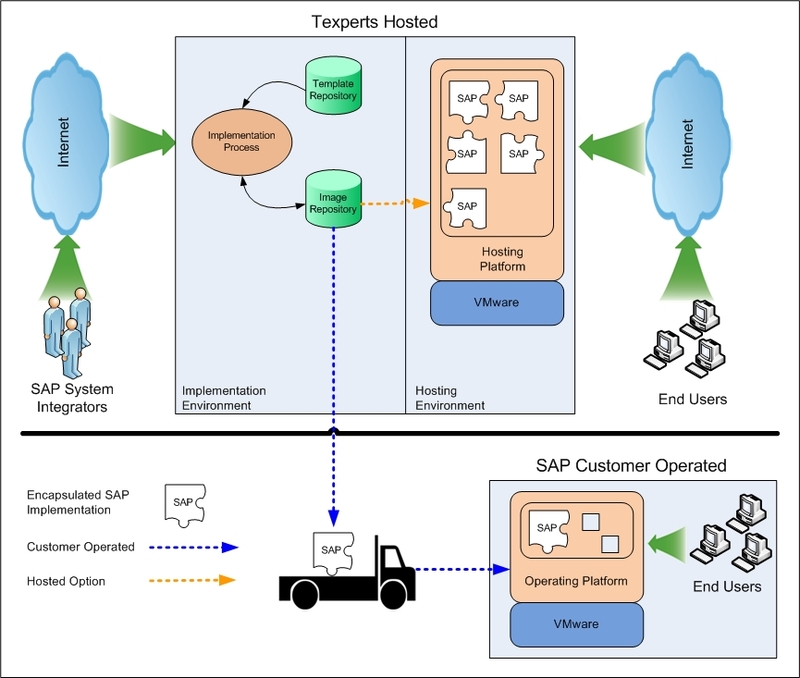 Texperts’ vImplementor is a revolutionary service tool that encapsulates and preserves an entire SAP implementation. 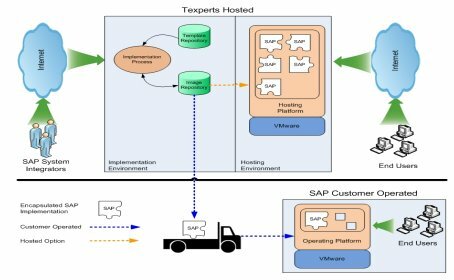 Utilizing VMware® virtualization, vImplementor allows SAP System Integrators to work through the implementation cycle only once, then reuse and deploy multiple SAP implementations off of the same preserved implementation. There is a wide range of SAP configurations that can be preserved and each successive deployment is guaranteed to be exact and instantaneous. Furthermore, vImplementor is hardware independent and works with single SAP systems or completely integrated SAP Landscapes, giving SAP System Integrator firms a consistent deployment solution no matter who the client may be. This service drastically reduces implementation and QA costs, expedites deployment — sometimes weeks instead of months or years — and provides a standardized solution that can be reused for a limitless number of SAP clients. —Joachim Rahmfeld, Ph D. Senior Business Development Manager, Global SAP Alliance, VMWare, Inc.
vImplementor is a Cloud-based service that allows you to encapsulate and preserve an entire SAP implementation cycle. This virtual implementation approach in the cloud allows a SAP implementation service provider to implement an SAP system environment at any time and off-premise. The SAP client can decide later if the completed SAP system implementation will be hosted or operated internally before Go-Live. The deployment of the implemented SAP system environment is easy due to the encapsulation.